Take multitasking to a new level with activities that boost your well-being and nurture social connections. Some days it feels like there just isn’t enough time to work, play, and be healthy. But you can beat the clock by choosing activities that help strengthen relationships while you’re building a healthier you. Try these five fresh ideas that give you a one-two punch of fun and fitness. 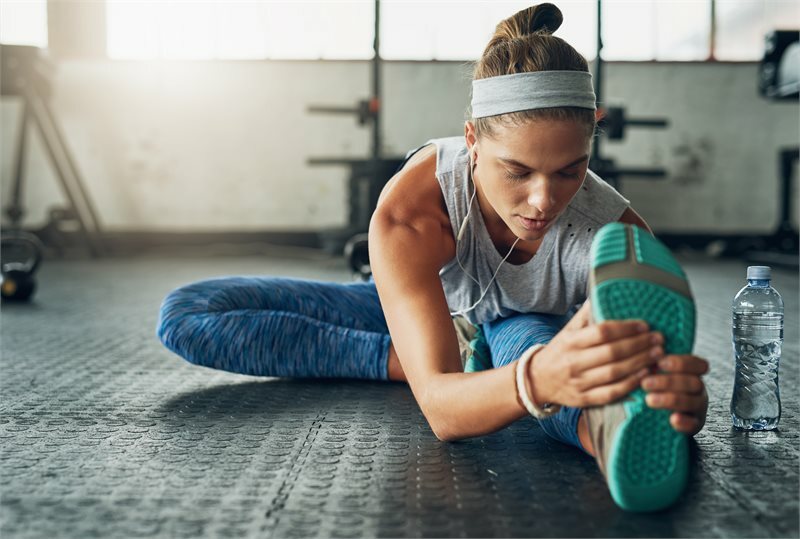 Binge watch … in your own home “gym.” Devote a night to catching up on the latest episodes of your favorite show with a friend, and add a stay-fit twist to the evening. In front of the TV, set up simple home-exercise equipment, like yoga mats, stability balls, and light dumbbells. Take 10-minute breaks every half-hour for intervals of stretching and strengthening exercises. You’ll get caught up on the latest drama, have a fun night with your friend, and keep in shape too. 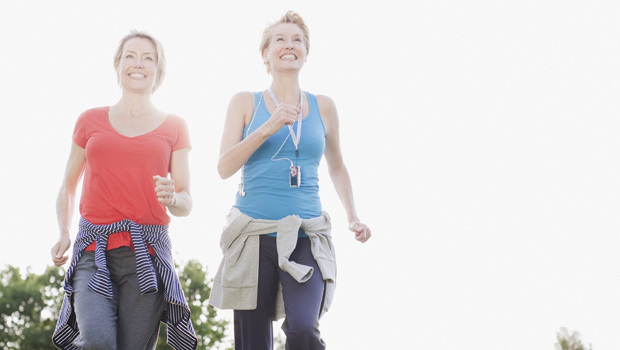 From meeting to workout … get walking! The next time you and a colleague are stuck in a conference room on a beautiful day, consider turning that static session into a walking meeting. You’ll take in fresh air, get some exercise, and generate more creative ideas than you would sitting in the office. Meet new people … and new pups. 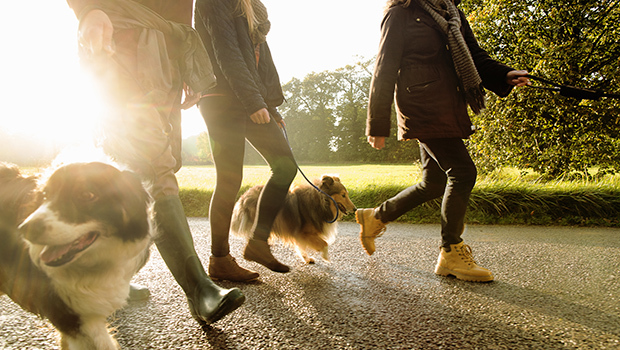 While a solitary walk with your dog can be a great de-stressor, try mixing things up by heading to your local dog park. You’ll meet like-minded animal lovers and give your pet a chance to make new friends too. Dance into … date night. Why sit still in a movie theater when you can have a great workout—and lots of fun—on the dance floor? Just one hour of fast dancing can torch more than 300 calories. Call or check the website of local dance studios to find beginner-friendly sessions, then put on your dancing shoes for a high-energy evening together. Connect with your child … in the great outdoors. If it feels like “screen time” is all the time at your house, take a break from electronics to enjoy a nature walk with your child. It can be a great opportunity to observe the world around you while tuning in to each other.